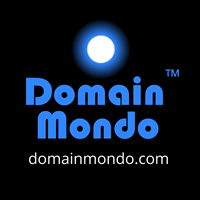 Domain Mondo | domainmondo.com: IANA Transition, What's Next, Years of Litigation in U.S. Federal Courts? IANA Transition, What's Next, Years of Litigation in U.S. Federal Courts? After Tuesday's Senate Commerce Hearing, it appears the movement to extend the IANA functions contract (currently due to expire September 30, 2016), "for the next two years until the new structure proves itself and the details of Work Stream 2 are fully developed and their implications understood" (see prepared testimony of Brett Schaefer), has increasing support on Capitol Hill. As the Obama Administration and NTIA have stated, the "community" has only one chance to get this right (though still unclear which community is being referred to: "ICANN community" or global internet community a/k/a global multi-stakeholder community?). Several U.S. Senators, including Senator Ted Cruz, have already requested NTIA extend the IANA functions contract with ICANN, and Senator Marco Rubio (with other Senators) has also sent a letter requesting delay (pdf), and may also be gathering more signatures requesting same, based upon his remarks at the Senate Commerce Hearing. Even one ICANN community stakeholder from India stated following the hearing on Tuesday: "... In many ways, a soft interim role for the US Government, or a short delay would actually ensure that the transition details are gracefully accepted by the whole world." It's not hard to see where this could all be headed. If the Obama administration and NTIA refuse to extend the IANA functions contract, then ensuing federal court litigation, with restraining orders and injunctions, could be filed before September 30, 2016. The irony is that in such case, final determination of the issues in U.S. courts will likely exceed the 2-year time extension being requested. The common sense approach would be to extend the contract to September 30, 2018, and perhaps even ask for Congressional approval of the IANA transition, to avoid litigation. But the ICANN-IANA transition proponents who testified at the Senate Commerce Hearing, appear to have hardened their positions. Which is why we have a federal judicial branch of government. The lawyers are waiting.